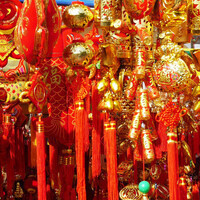 Lunar New Year, (commonly known as Chinese New Year), is a festival that has been celebrated for centuries in countries like China and Vietnam. Traditionally, this is a time when families and loved ones get together and welcome the new year with gifts, feasts, and firecrackers. Trinity has celebrated Lunar New Year for over 20 years, and on this year's celebration of its 150th anniversary we invite you to ring in the Year of the Pig with us! There will be cultural and contemporary performances, songs and dances from the Vietnamese Student Association, Chinese Cultural Club, Filipino Student Association, and Japanese Cultural Club. There will also be traditional food served after the event.